"We began the sale of our home long distance and Kim and John were invaluable to the successful and quick sale. Because we were long distance they spent a lot of time on the phone answering 1,000 mundane questions and walking us through the process. When Tony spent two weeks in Ann Arbor fixing up the gardens and outside of the home, Kim and John Frequently went above and beyond expectations. Their staging of our home was impeccable. Two days after putting the house on the market we were under contract with an offer that was above our asking price. Kim and John were the perfect realtors for us!" "WE live out of Michigan and we were very glad to have Kim represent us. She was very good at helping us through all aspects of the selling of our condo. I would highly recomend her." "Kim and John Roberts were great to work with! As first time home buyers, we almost signed ourselves into a messy situation until we found someone who was actually looking out for our best interests. We told Kim and John what we were looking for, and in what area, and they found it. Kim was very helpful and explained every page of every contract we had to sign so we knew what to expect. It was really nice to work with a team because if Kim wasn't available to show a house, John was there, and vice versa. 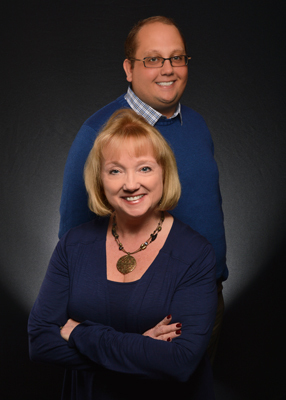 Kim and John are our first suggestions to anyone looking to buy or sell a house." "We have bought and sold with Kim Roberts and we would highly recommend her expertise for any of your real estate needs. She takes charge of the buying or selling process from beginning to end and keeps you informed along the way."